Want to listen to Beats Music on your MacBook without installing Flash or killing your battery? Thanks to developer Chris Aljoudi, you can stream your Beats Music in Safari, all without the use of Flash. The extension allows you to stream music via the Web player using HTML5 instead of Adobe Flash. With HTML5, there really isn’t a need for Flash-based audio players anymore. HTML5 adds native video and audio playback with easy-to-use controls, leveraging the strength of your Web browser instead of an add-on player. 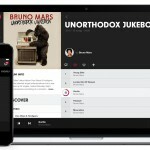 Aljoudi says he created the Safari extension after learning, to his disappointment, that the Beats Music Web player used Adobe Flash instead of HTML5. It’s completely free and very minimal. Install BeatsMe, and listen.beatsmusic.com just works using native HTML5 audio playback. No Flash required. You even get better battery life in comparison as a free bonus! If you’re interested, you can download BeatsMe for free from Aljoudi’s Web page for the project. One more nail in Flash’s coffin is always a good thing, in my opinion. Apple is slowly but surely rebranding Beats Music as an Apple product, folding Beats Music support into AppleCare earlier this month. AppAdvice expects to see Apple formally announce the relaunch of the streaming music service at WWDC in June, but without the $7.99/month price point we were hoping to see.